There are times when you feel like you’re spinning out of control. It’s as if some Wizard of Oz twister has sucked you up into the vortex and you have no choice but to go with it. That’s how I’m feeling now. Yesterday the emergency vet clinic delivered the devastating news – my cat, Pippen, is filled with cancer, and there is nothing that can be done. This same diagnosis claimed the life of her brother just 4 months ago. In a daze, I brought my dear girl home last night so she can spend whatever time she has left with me and her two sisters. 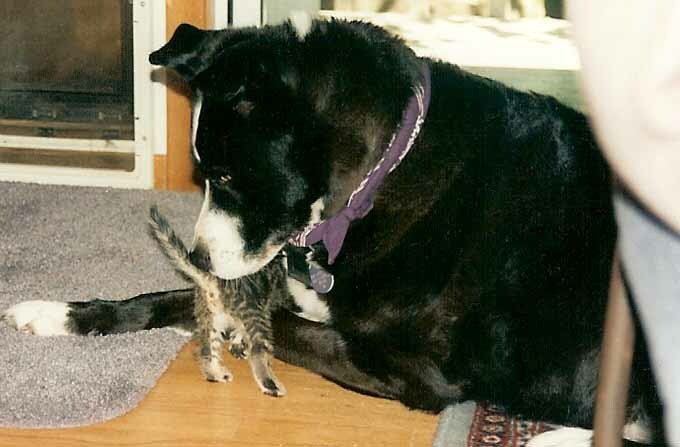 Pippen was the first kitten my dog, Jake, found in our yard back in 1998. He immediately adopted her, along with her brother, Dickens, and her other sisters. While Jake watched over his feline brood like a good nanny, it was Pippen who held a special place in his heart. I always wondered if it was because she was the only striped cat, and perhaps she stood out among her mostly black siblings. With Jake and Dickens gone now, the only comfort I can find is knowing that when Pippen leaves this earthly life she will be welcomed by her four-legged angel siblings with very enthusiastic woofs and purrs, nose nuzzles and head butts. Our home already feels so empty without Dickens. The thought of losing Pippen, with her salty, “take no prisoners” personality, leaves me shaking. I fear our family “stew” might be awfully bland without her. Somehow Molly, Star and I will have to continue on without Pippen. I pray that the way to do that will be revealed to me soon, because right now the road ahead looks awfully dark and filled with tears. 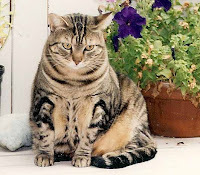 Oh no – I’m so sorry to hear your sad news about Pippen! Sending loving thoughts to you and your kitty clan. Thank you so much, Tammy – we appreciate all those loving thoughts! Thank you, Sandra. I used to think I adopted them, but know I suspect the universe sent them to adopt ME! I will be forever grateful for that! Thank you, Andrea. 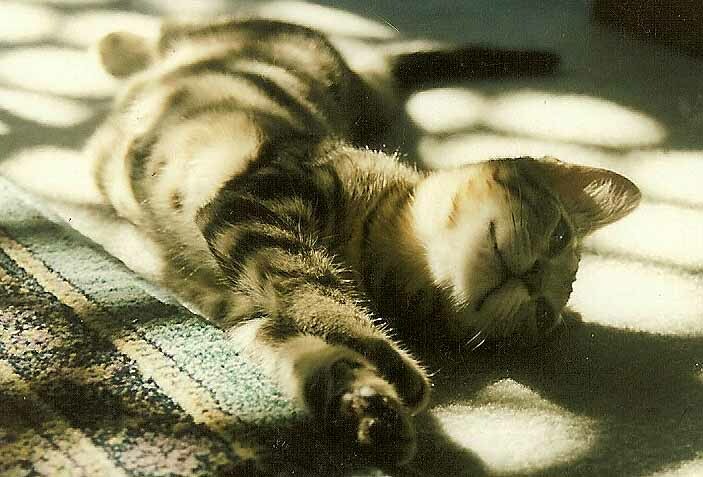 Pippen was my first forever cat…so special.